Firstly, finding the right agent is essential and we strongly advise you to do your homework thoroughly. A good start is to log onto the major web portals Rightmove and Zoopla where you can find and look at similar properties to yours that are currently on the market. How long have the agents been trading as letting agents in the area? Longevity is a good indication of the service both you and your potential tenants are likely to receive. Are their offices in prominent and accessible locations? Are they regulated? There are several organisations that agents can voluntarily join, which have strict codes of practice, therefore agents who are members of such schemes, should be taken more seriously. Cavender are an ARLA Property mark agent and registered with The Property Ombudsman so you know we adhere to a strict code of practice. Ask your neighbours or friends in the area if they have any recommendations of agents they have dealt with. This should give you an idea of the professionalism and level of service that you can expect of that agent. Visit a few agents and have a chat with the Lettings manager and get a feel for them, both professionally and personally. Trust your instincts, if you trust them and believe they could work well both with you and for you, then this is a good sign. Test their local knowledge. 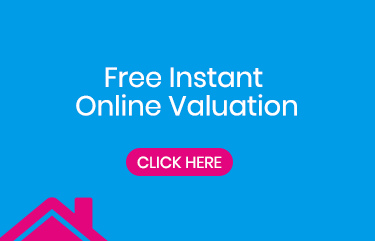 Invite your favoured agent to your property to give you a free market appraisal. Be prepared by compiling a list of questions to ask the agent that will assist you in making an informed decision of who to choose. How are your potential tenants sourced? What is the structure of your team? Are any elements of your services outsourced? i.e. Maintenance, Rent Collection? Will I have a main point of contact? What are the success levels you have achieved with similar kinds of property (rent amounts, length of time to secure a tenant)? What do you feel is the highest achievable rent, and what have you based that on? What are your fees? And what do I receive for that fee? Will I incur any additional fees for marketing? Can you provide a copy of the tenancy agreement you use? What tenancy deposit protection scheme are you a member of? Is there anything the property needs to make it more marketable? What sets this agency apart from the others? There is no wrong or right way of picking an agent, but most agents will come prepared with a copy of their terms and conditions, specimen copy of the tenancy agreement they use, a brochure detailing their services and literature about the company. When agreeing a rental figure, Cavender Estate Agents would have provided you with a selection of comparable properties that they have recently let in the area and the prices they have achieved; this should guide you to make an informed decision on the right price to market your property. You should be wary of some agents who may advise you of a higher unrealistic figure in order to your business. It is advisable that you do not make the mistake of going with an agent solely because they have given you the highest rental figure, as your property could sit on the market for a longer period, which will lose you money in the long run. Also, literature on legal requirements such as gas certificates, portable appliance tests, energy performance certificates, and price lists of recommended companies that can carry out these required services. Many landlords assume that using more than one agent will result in their property being let quicker. That is not necessarily the case and using a single agent (called ‘sole agency’) avoids your property being overexposed in the market and can help you to achieve a better price and tenant in the long run. The extent of services offered can vary amongst agents and is dependent on your own requirements. In order to decide which service is right for you, you need to ask yourself the following questions. Are you looking to be a “hands on” landlord? Are you in a position to take calls at any time of the day or night from your tenant? Are you happy to deal with both the financial and legal implications of the let, directly with your tenants? Are you able to establish a professional relationship with your tenant and ensure that they receive a level of service that they would expect if they were dealing with an agent and maintain this throughout the tenancy? Can you attend the property at short notice should a problem arise? Are you in touch with reputable and reasonable maintenance contractors, whom you trust to attend in the absence of either yourself or your tenants? Do you have the facility to check that the rental payments are received on their due date, and feel comfortable contacting the tenants if they are not? If you cannot definitely answer YES to the above, then opting for the full management service is probably more suited to your needs. Many landlords tend to go with full management as it has the advantage of keeping a comfortable distance between landlord and tenant. The agent can mediate between the parties and offer advice with the benefit of knowledge and experience. Tenants are found and secured for your property, references and full credit checks carried out on the prospective tenant/s, we draw up the tenancy agreements for you and protect the deposit with Mydeposits. We will write to both you and your tenants regarding the tenancy renewal prior to the expiration of the initial tenancy agreement. As your agent, we will keep you updated with the current market value of your property, and should an increase of rent be achievable, we will negotiate this with your tenant, to ensure that you achieve the best rent possible. Once new contract terms have been agreed, we will draw up the new tenancy agreements, and re-protect the tenant’s deposit with Mydeposits. If your tenants decide to leave, we will ensure that they have provided the correct notice period. We will re-market your property immediately to ensure that you are not left with a vacant period. Tenants are found and secured for your property. References and full credit checks are carried out on the prospective tenant/s and we draw up the tenancy agreements for you. Additionally, we then protect the deposit with Mydeposits, a Government-approved scheme. The rent will be paid by your tenants directly to us every month, it will then be transferred to you within the specified period as outlined in your terms and conditions. You will be provided a monthly statement. We will write to both you and your tenants prior to the expiration of the initial tenancy agreement, with regards to the tenancy renewal. As your agent, we will keep you updated with the current market value of your property, and should an increase of rent be in line with the current market value, we will negotiate this with your tenant, to ensure that you receiving the best rent possible. Once new contract terms have been agreed, we will draw up the new tenancy agreements, and re-protect the tenants deposit with My deposits. If your tenants have decided they are not staying in the property, we will ensure that they have provided the correct notice period. We will re-market your property immediately to ensure that you are not left with a vacant period. Leaving your property in our capable hands. Tenants are found and secured for your property, references are full credit checks carried out on the prospective tenant/s, we draw up the tenancy agreements for you and protect the deposit with My deposits. We can provide you with peace of mind by handling communication between tenants, contractors and you the owner. In short our property management team is the anchor of our Lettings Department. This is one of the main reasons our Landlords continue to come back to us time after time to look after their properties. The rent will be paid by your tenants directly to us every month, it will then be transferred to you within the specified period as outlined in your terms and conditions. Should there have been any agreed expenses incurred for your property, these will be deducted from your account and you will be provided with a copy of the relevant invoice along with your monthly statement. You can rest assured that we will always act in your very best interest keeping you fully informed of any aspects of your tenancy that require attention. We will ensure that any issues are resolved quickly and effectively so neither you, nor your tenants are inconvenienced. We carry out property inspections after three months of the tenancy commencing and then every six months, whereby we check the tenant/tenants are keeping the property in a clean and tidy condition and that the tenancy is being conducted in the correct fashion as outlined in the tenancy agreement. Over the years we have built up solid working relationships with a wide range of local tradesmen, suppliers and contractors to ensure that you receive a high standard of works/goods at the most competitive price. We hold copies of all contractors relevant qualifications and insurances so you can rest assured that your property is in safe hands. We will write to both you and your tenants prior to the expiration of the initial tenancy agreement, with regards to the tenancy renewal. As your agent, we will keep you updated with the current rental value of your property, and should an increase of rent be required in line with the current market, we will negotiate this with your tenant to ensure that you receive the best rent possible. Once new contract terms have been agreed, we will draw up the new tenancy agreements, and re-protect the tenants’ deposit with Mydeposits. Should you decide that you require your property back, then we will serve the required notice on your tenants in accordance with the Housing Act. If your tenants have decided they are not staying in the property, we will ensure that they have provided the correct notice period. We will re-market your property immediately to ensure that you are not left with a vacant period. We will protect you as a landlord by keeping you informed of any legal requirements and safety regulations. We will hold and protect the tenants deposit with Mydeposits. Your mortgage lender – they may insist that the let is on an Assured Shorthold basis. Your Freeholder (if applicable) – This is necessary should your property be a leasehold flat. Be advised that some freeholders do charge you a small fee for letting the property out. 3. WHAT COSTS ARE INVOLVED IN LETTING OUT MY PROPERTY? It is advisable to have a contingency budget for repairs and maintenance. Having access to funds to make essential repairs if and when they are required, will put you in a better position to keep to your obligations under the tenancy agreement and in turn a satisfied tenant. N.B – fees are based on annual rent. You can never make a first impression twice and as this will be the first view that potential tenants have of your property, it is important that care is paid to optimising its appearance. Tidy up both front and back gardens where necessary. Remove weeds, trim hedges, remove unsightly plants and mow the lawns. Once the tenancy commences, it will become the tenant’s responsibility to ensure that it is kept in seasonal order. Make good any cracks, marks, or holes in the driveway or the walls. If window frames are looking a little untidy, it may be an idea to freshen up with a lick of paint. Clean windows can also make a big difference, both when looking at the property and looking from inside the property. Keep rubbish and recycling bins out of sight. Ensuring that your property is presented in the best possible light is very important when letting your property. It is advisable to detach yourself emotionally and to view it as a prospective tenant would. De-clutter – make the property appear more spacious by removing unnecessary furniture. Remove any little knick-knacks, books, ornaments and clear out cupboards and wardrobes of non-essential items. If there are any minor repairs that need doing, get them fixed. i.e. leaky taps, cracks to the walls, missing light bulbs. Make sure everything is in working order. Eradicate any unpleasant odours, like cooking smells, cigarette smoke, or pet smells. It is imperative that the property be presented in a clean and tidy condition and in good decorative order including carpets, windows and walls. If any white goods are to remain in the property, they should be in good working order with instruction manuals provided. (If you don’t have these most can now be easily downloaded from the internet). If any are still under manufacturer’s warranty or extended warranty please leave details in the property. Please remember that should any of these items cease to work it is your responsibility as a landlord to repair or replace where necessary. Letting the property with or without the furniture does not have too much of an impact on the rent you can expect, this will be dependent on the tenants requirements. If you are prepared to be flexible with this, you will appeal to a wider audience. Whilst there is no legal definition of what constitutes an unfurnished property, generally speaking it still includes essentials such as carpets, curtains, light fittings and white goods. Furnished properties will usually include the main items of each room such as a sofa, beds, wardrobes, table and chairs etc. Apart from the white goods, we would not recommend that landlords provide further electrical goods nor any kitchenware, bedding or towels as this will become your responsibility to maintain. The Smoke and Carbon Monoxide Alarm (England) Regulations 2015 state that all premises from 1st October 2015 must have at least one smoke alarm installed on every storey of the property as well as a Carbon Monoxide alarm in every room that contains a solid fuel burning appliance (coal fire, wood burning stove). Whilst these regulations do not apply to gas appliances, we advise all landlords to consider the installation of alarms to protect the occupier and help prevent any legal action being taken against a landlord as gas appliances still emit carbon monoxide. It is the sole responsibility of the Landlord to ensure these alarms are working at the commencement of every tenancy. A landlord failing to comply with these regulations will be subject to a fine of up to £5,000 from local authority enforcement bodies. We at Cavender would then arrange the fitting of alarms at your expense and the cost will be deducted from the rent. We always recommend you have an independent professional inventory prepared, whether you let the property furnished or unfurnished, as it could be decisive in any future deposit discussions. This is something that we can organise on your behalf. The landlord pays for the comprehensive inventory report that will be updated after each tenancy. The landlord is also responsible for the cost of the check-in report at the commencement of the tenancy. The tenant pays for a check out report at the end of the tenancy which is a report comparing the condition of the property to when the check in was carried out. As well as detailing the property and its contents, these reports will record the condition of everything in the property. Where possible it will include photos and details of sets of keys, fobs etc, and where access is allowed, any relevant meter readings will be taken when carrying out both the check in and out of each tenancy. 6. HOW LONG SHOULD I WAIT BEFORE MARKETING? Generally tenants start looking about 4-8 weeks before moving; therefore it is recommended that the property be marketed at least 10 weeks before your property is available to move into. To maximise the number of people that see your property, Cavender Estate Agents will prepare a bespoke marketing campaign, which will usually include local property magazines and newspapers, online coverage with a range of websites, as well as property details with colour photos and a detailed floor plan, (on request). 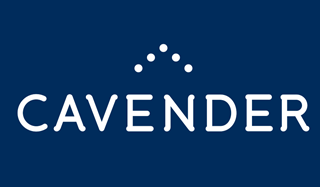 Cavender accompany prospective tenants on all viewings. This allows our member of staff and the prospective tenant the time to discuss the pros and cons of the property and to get honest feedback from the viewing which would not necessarily happen if you were to be present. Does their offer come with any conditions? i.e. have they asked for any additional furniture, or for any items to be removed, redecoration, do they have a pet? It is the role of the letting agent to notify you of all offers, however unrealistic they may be, and to then negotiate the best possible deal with the best possible tenant. It is vital for you to have in mind and have discussed with Cavender, what type of tenant you are hoping to find, i.e. professional couple, sharers, families or students. - The length and type of tenancy along with details of any break clauses. - Any conditions of the offer i.e. remove dining table or kitchen to be repainted etc. At this stage, the tenants will be required to complete referencing forms. Specialist & independent referencing companies generally carry out referencing. Employment - who is their employer, what is their annual salary, length of employment, length of employment contract where necessary. References from their current / previous landlord, (if applicable) which will check how their previous tenancy was conducted. Are they located at the previous addresses they have given? Once the referencing is complete, a report will be produced which will state whether the tenant(s) is acceptable for the tenancy. Cavender can provide you with a copy of the references. Most referencing companies now offer additional services such as Rent Guarantee & Legal Expenses cover. For peace of mind it is worth enquiring with Cavender regarding these services. Once you have seen and approved the references, the contract will be drawn up with a move in date agreed by both you and the tenants. Contracts will not be produced to the tenants for signing, until we have approved references. Under the terms of the Right to Rent legislation as part of the Immigration Act 2014, landlords should check identity documents for all new tenants and take copies. The scheme has been designed to make it straightforward for people to give evidence of their right to rent and a range of commonly available documents can be used. Cavender will take copies of passports, identification cards and any UK Visas where applicable. It is on the day of move in, when the inventory company will attend and carry out the check in inventory. This is generally sent to the agent by email in a PDF format and will be forwarded on to both yourself and your new tenants. It is important that these reports are carried out for both your own peace of mind, and that of your tenants. It is strongly recommended that these reports are always carried out by an independent third party inventory company, ideally registered with AIIC (Association of Independent Inventory Clerks). Since April 2007 any deposit taken from a tenant on an Assured Short hold Tenancy (AST) in England and Wales, must be protected in a government-authorised deposit protection scheme within 30 days of receiving the deposit. Should your tenants renew into a further Assured Shorthold Tenancy at your property at the end of the original tenancy, their deposit is legally required to be re-protected. If their contract was to continue onto a periodic agreement, then the deposit does not need to be re-protected. My deposits will adjudicate at the end of the tenancy to deal with any disputes that arise out of any proposed deductions. If your usual home is outside the UK and you have one or more rental properties in the UK, your tenants or your agent will need to operate the Non-resident Landlord (NRL) Scheme. Legally, they are required to deduct basic rate tax from rental income before they pass it onto you unless they have received authorisation from HMRC to pay gross amounts. You can set this tax off against your own tax bill at the end of the year. Who constitutes a non-resident landlords? We also write to the utility companies informing them of the commencement date of the tenancy and the tenant’s details. Approximately three months before the expiry date of the tenancy, we will write to you to establish whether you are interested in renewing for a further term. If you are, we will advise you of the current market value of your property and discuss with you if there should be a negotiation regarding a rent increase or if the rent should remain the same. The length of tenancy will also be discussed. If the tenants are intending to vacate and you intend to continue letting the property, the process will start all over again.